There is nothing more satisfying in the world than melting chocolate, it's consistency is so lovely and I have no doubt I am not the only one who looks forward to licking the bowl! 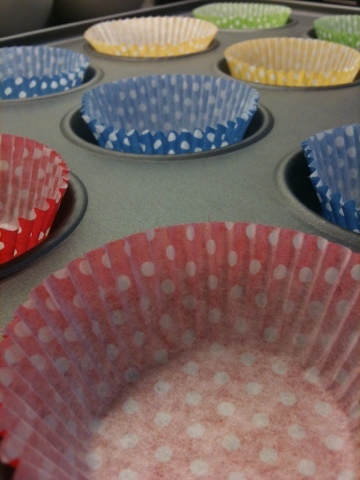 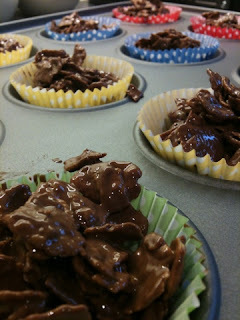 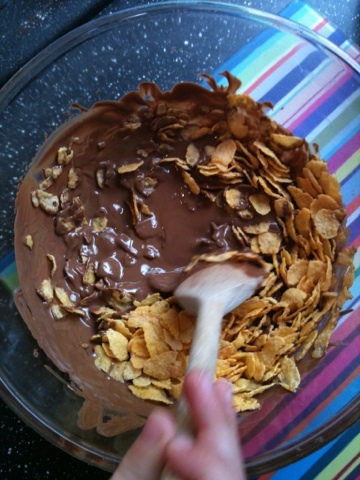 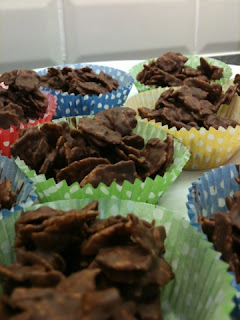 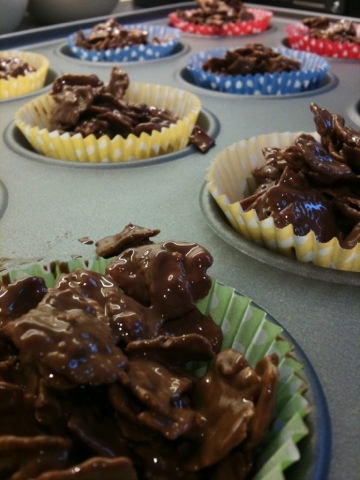 Making cornflake cakes is a perfect rainy day activity to do with your children and this morning we did just that. 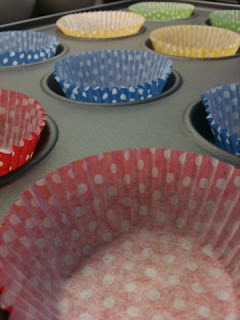 This is great fun for toddlers and preschoolers and brightens up the gloomiest of days. 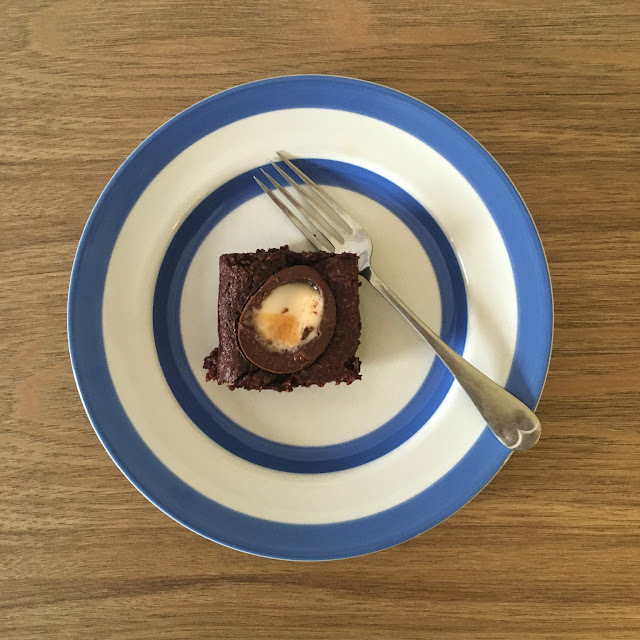 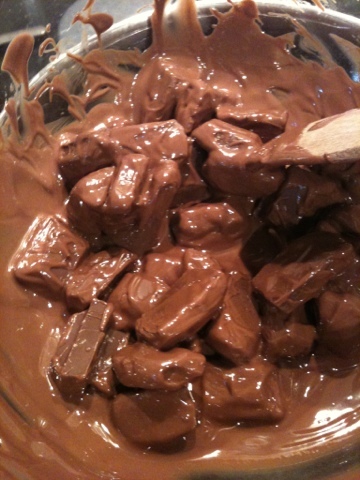 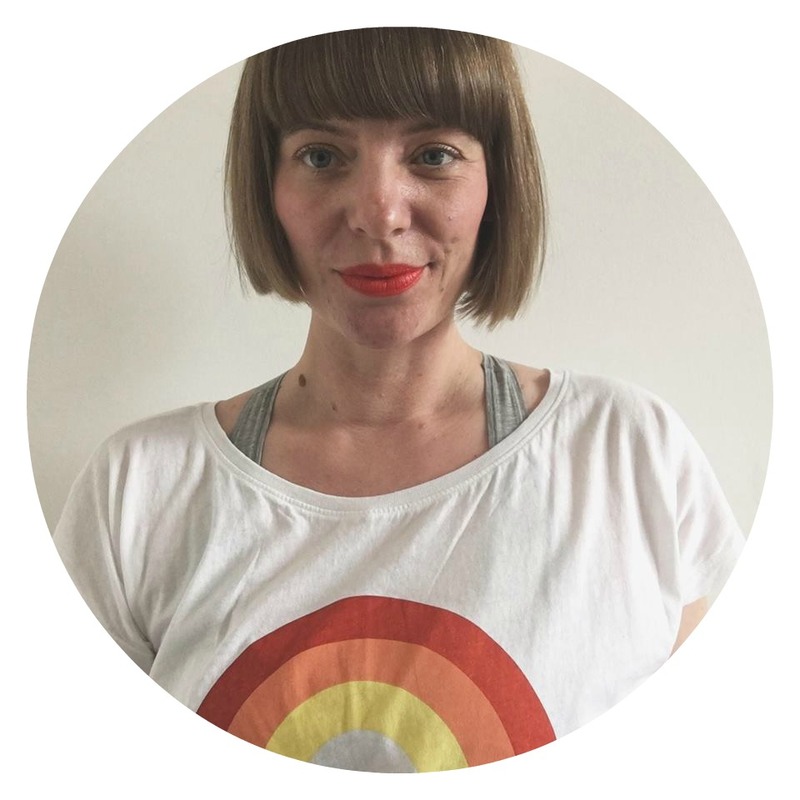 I haven't put the amounts down as you can do them with as little or as much chocolate as you like and I never make them with weighed ingredients just however much looks like enough ;) Just add cornflakes a bit at a time and you can't go wrong. 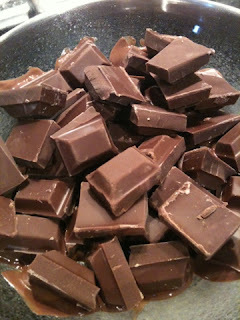 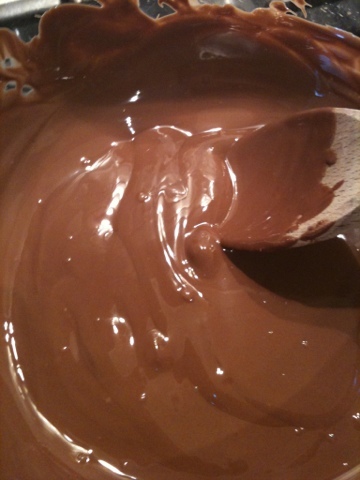 In a bowl over a pan of hot water, melt some chocolate. 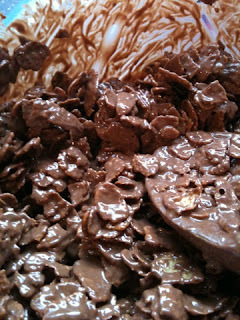 We added some raisins to ours but you could also add nuts, marshmallows or anything else you fancy really.